I learned many techniques in Sharon’s presentation that I had not used before to decrease stress and refocus throughout my day. It was a really good presentation! I really enjoyed it and I am taking the ideas and inviting my staff to take a few minutes every day to use her “NeuroMindShift” Strategies. I attended Sharon’s presentation at the HRPA event in Chatham and I thought it was fantastic! She has a lot of great strategies that I will use going into court. I highly recommend Sharon and will be anxious to hear her again. Sharon was very real and her presentation was unique and very interactive with the crowd! As the organizer of our HR event, I found working with Sharon very pleasant. I loved that she specifically prepared for the HR audience. I found her “NeuroMindShift” tools to be especially helpful to recharge and refocus quickly. 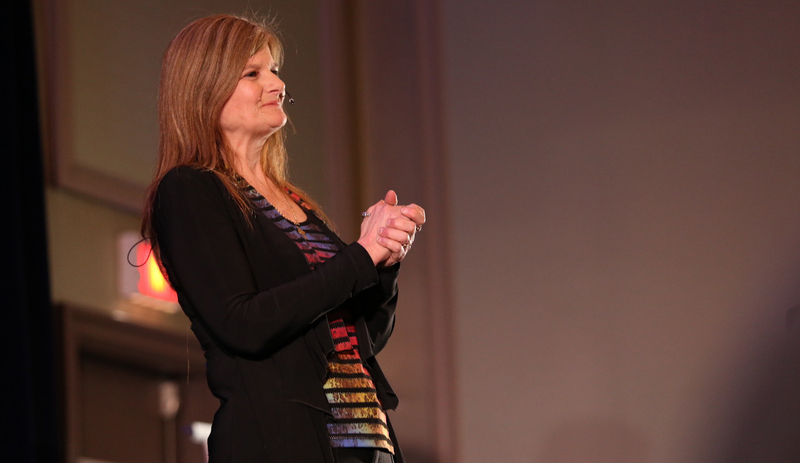 I was amazed by Sharon’s story and message of resilience, of not just surviving but thriving. I would absolutely recommend Sharon for any event! We all need to hear how important it is to relax and focus on the now. I, as one of the organizers of the event, felt that Sharon’s story really relates to the jobs that we do. We can use her story to inspire those that we work with each and every day. I could listen to Sharon speak over and over again! I liked the speaker (Sharon) who spoke on being present and about her incident and how she overcame the obstacle that she had. We all have so many obstacles that we overcome in our life and to hear this woman come out of such a rough one so strong was truly inspiring. I was incredibly happy to win her book and I have loved what I have read so far and will take her teachings with me throughout the rest of my life. Sharon gave useful tips for relaxation and stress relief – something that we all need to practice. 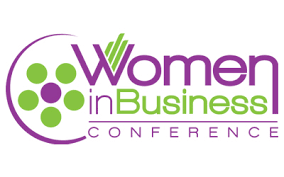 As the founder and producer of the Women in Business Conference it is my job to find outstanding speakers, well I found one in Sharon Campbell Rayment. Sharon delivers a strong message for us all with humor and hope that we can all beat the odds. She is a joy to work with, extremely professional and I would highly recommend her. Sharon has a wonderful way of moving and inspiring people – I went from tears, to laughter to serious thought during her presentation. She shares her life experience as well as many tips for dealing with life. All of our participants loved her presentation. Thank you for being so adaptable and easy to work with, Sharon! Sharon Campbell Rayment added inspiration and practical ideas with her NeuroMindSHIFT techniques to our training day. Attendees can use what they learned from Sharon’s message to stay grounded when life gets stressful. Sharon’s style effectively mixes her personal story of perseverance, with humour and a practical framework. It was no wonder that many participants wanted to purchase Sharon’s book. Sharon’s amazing presentation skills and personality aren’t to be forgotten. Sharon creates memorable moments! She gets the whole room laughing, but also delivers a very heart-felt message. She is the real deal – helping us to remember the power of the human spirit. Sharon, this world needs to hear your message! Sharon is a magical storyteller – engaging her audience with powerful words and holding them on the edge of wonder and delight. I am in awe of this woman! Sharon is a gift in this world and I could watch her speak for days. I have had the pleasure not only of working with Sharon, but also of hearing her speak publicly. She is an engaging speaker not only because of her spiritual knowledge, but also because of her sense of humour and palpable kindness and genuineness. And you can’t help but be riveted by the fact that the perfect Scottish accent she’s speaking in is the result of a bad knock on the head – caused by an extremely rare, but real medical condition. It makes her all the more fascinating to listen to! Sharon is one of the funniest and most natural speakers I’ve ever witnessed!